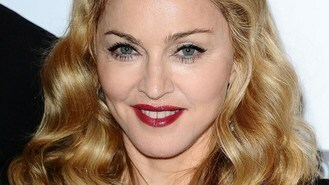 News - Madonna takes pop at Lady Gaga? Madonna takes pop at Lady Gaga? Madonna appears to have made a dig at Lady Gaga during rehearsals for her upcoming tour. The singer was filmed performing Express Yourself before launching mid-song into a rendition of Gaga's track Born This Way - a song which has often been compared to Madonna's classic hit - while on stage in Israel. In footage posted on YouTube, the queen of pop then launches straight into She's Not Me, from her 2008 record Hard Candy. Gaga, with her eccentric style and pop anthems, is seen by some critics as a pretender to Madonna's crown. Madonna has previously addressed the similarities between Express Yourself and Born This Way. She told The Daily Beast: "I thought, 'What a wonderful way to redo my song'. I mean, I recognised the chord changes. I thought it was... interesting." Chart-topping star Rita Ora showed she was white-hot right now as she joined the X Factor panellists as a guest judge. Justin Bieber is wanted for questioning by police in Los Angeles after a photographer complained of being roughed up by the pop star at a shopping centre. Lady Gaga has told fans she was "devastated" at having to cancel her sold-out show in Indonesia, following threats by Islamic hardliners who called her a "devil worshipper". A chart-topping release by heavy rockers Iron Maiden has been named the greatest album of the past 60 years. The two favourites to win The Voice have been eliminated from the BBC One TV talent show. American indie pop band Fun have climbed to the top of the singles chart with their track We Are Young featuring Janelle Monae. Pop diva Lady Gaga has cancelled her show in Indonesia amid threats from hardline Muslims. Engelbert Humperdinck will be carrying a prized gift from Elvis Presley to bring him luck as he performs in the Eurovision Song Contest tomorrow night.